You searched for vExpert - VIRTUALIZATION IS LIFE! 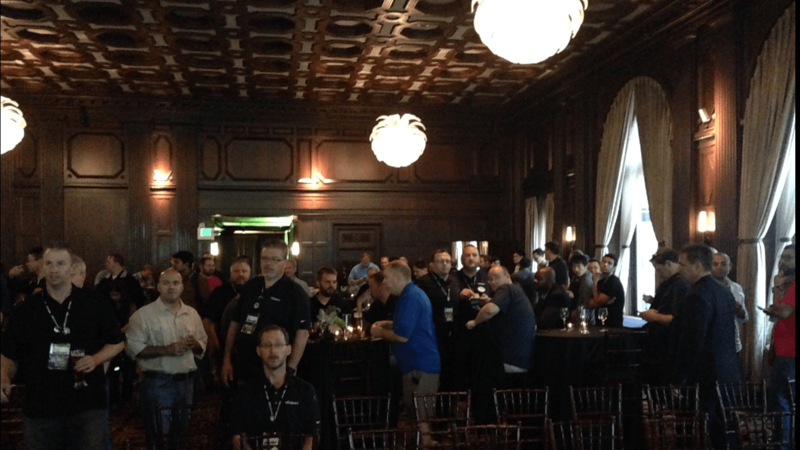 vExpert 2018 – The Value Remains! 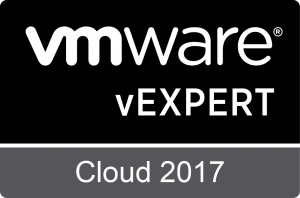 After a longer than expected deliberation period the vExpert class of 2018 was announced late last Friday (US Time). I’ve been a vExpert since 2012 with 2018 marking my seventh year in the program. I’ve written a lot about the program over the past three or four years since it’s “perceived” value started to go downhill. I’ve criticised parts of the program around the relative ease at which some people where accepted and also on the apparent inability for numbers to be better managed. However, make no mistake I am still a believer in the value of the vExpert and more importantly I have come to realise over the past few years (solidified over the past couple of months) that apart from the advocacy component that’s critical to the programs existence…people continue to hold the program in extremely high regard. There are a large number of vExpert’s who expect entry year after year, and rightly so. In truth there are a large number that legitimately demand membership. But there are others who have struggled to be accepted year after year and for who, acceptance into the program represents a significant achievement. That is to say that while many established vExpert’s assume entry there are a number of people that desire entry. This is an important indicator on the strength of the program and the continued high regard the vExpert program should still be held in. It’s easy to criticise from the inside, however that can’t be allowed to tarnish the reputation of program externally. This is a great program and one that is valued by the majority of those who actively participate. VMware still commands a loyal community base and the vExpert’s lead from the front in this regard. Remembering that it’s all about the advocacy! Well done again to the team behind the scenes…The new website is testament to the program moving forward. The vExpert team are critical the success of the program and having been part of the much smaller Veeam Vanguard program, I have a lot of respect for the effort that goes into sorting through two thousand odd applications and renewals. And finally, well done to those first time vExpert’s! Welcome aboard! This week the VMware vExpert team officially lifted the lid on two new subprograms that focus on NSX and VSAN. The announcements signal a positive move for the vExpert program that had come under some criticism over the past two or so years around the fact that the program had lost some of it’s initial value. As I’ve mentioned previously the program is unmistakably an advocacy program first and foremost and those who are part of the vExpert group should be active contributors in championing VMware technologies as well as being active in their spheres of influence. Corey and the rest of the team have responded to the calls for change by introducing vExpert Specialties now more in line to what Microsoft does with it’s MVP Program. The first specializations are focused on VMware’s core focus products of NSX and VSAN…these programs are built on the base vExpert program and the group is chosen from existing vExperts who have shown and demonstrated contribution to each technology. The VSAN announcement blog articulates the criteria perfectly. This group of individuals have passion and enthusiasm for technology, but more importantly, have demonstrated significant activity and evangelism around VSAN. With that, I am extremely proud to be part of both the inaugural NSX and VSAN vExpert program. It’s some reward and acknowledgment for the content I have created and contributed to for both technologies since their release. Substance is important when it comes to awarding community contribution and as I look through the list I see nothing but substance and quality in the groups. Again, this is a great move by the vExpert team and I’m looking forward to it reinvigorating the program. I’ve pasted linked below to my core NSX and VSAN content…I’m especially proud of the NSX Bytes series which continues to do well in terms of people still seeking out the content. More recently I have done a bit of work around VSAN and upgrading VSAN from Hybrid to All Flash series was well received. Feel free to browse the content below and look forward to catching up with everyone at VMworld US. 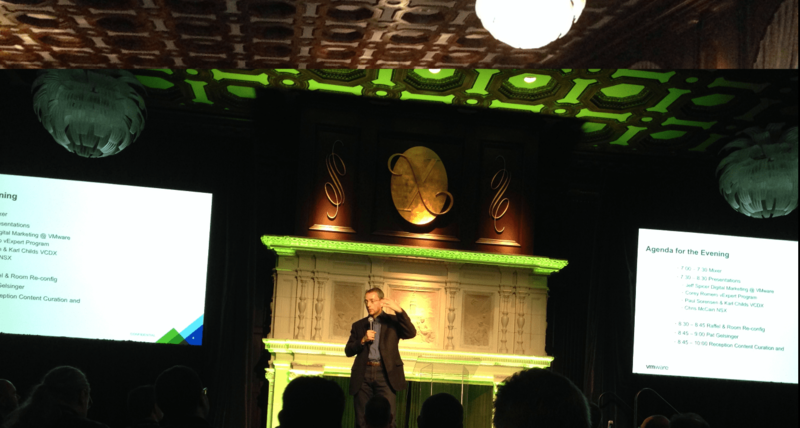 Last Friday Cory Romero announced the first intake of the 2016 VMware vExperts. As a five time returning vExpert it would be easy for me to sit back enjoy a perceived sense of entitlement that comes with being a vExpert…but times have changed. The award has changed and the way people feel about the program has changed…when I first become a vExpert back in 2012 there was approximately 300 world wide…fast forward to 2016 and there are now 1360 give or take. This doesn’t mean that you can’t be involved in looking at and advocating other vendor technologies (I am a Veeam VanGaurd and PernixPro as an example) but as Corey mentioned in his email quoted above, the criteria used to have achieved the award implies that those activities need to be VMware focused. Almost exactly 12 months ago to the day I kicked off this site with this article describing my journey in virtualization leading up to my first vExpert 2012 Award. 27 posts and 1 year later I’m humbled again to be awarded with vExpert status for 2013. The VMware community is unbelievably strong and it’s safe to say that over the past 12 months I’ve made a lot of new friends and been involved in lots of special forums and events as well as being continually amazed by the power of virutalization by way of delivering VMware products and services to clients and being able to get hands on with upcoming product releases. This is a community award… and in that most of the people awarded the vExpert badge are people that go over and above to share their passion and love of the technology they work with on a daily basis…for the most part the sharing and evangalisation of that knowledge is done in addition to their day jobs…the title of my blog is “Hosting is Life” and in many ways that exemplifies the dedication that this kinda of award entails. Special thanks to John Troyer for putting this together and VMware for the award…and a specialÂ mention to the Australian vExpert list that has more than tripled from last year. UPDATE:There has been debate/confusion on the credibility of the vExpert class of 2013…the numbers have swelled by about 100 from the 2012 class and with that a couple people are questioning the value of the award. From reading in between the Tweet’s being fired off yesterday it seems that there where about 850 applicants for this years awards so the question of everyone being accepted isn’t valid…however there is danger in the credibility of the award being diluted in the future if tighter selection criteria is not put into place…one the one hand, it’s great to see the numbers swelling because it means that there are more people active in support of VMware in the community, but VMware may need to put a greater emphasis around keeping the numbers tight.